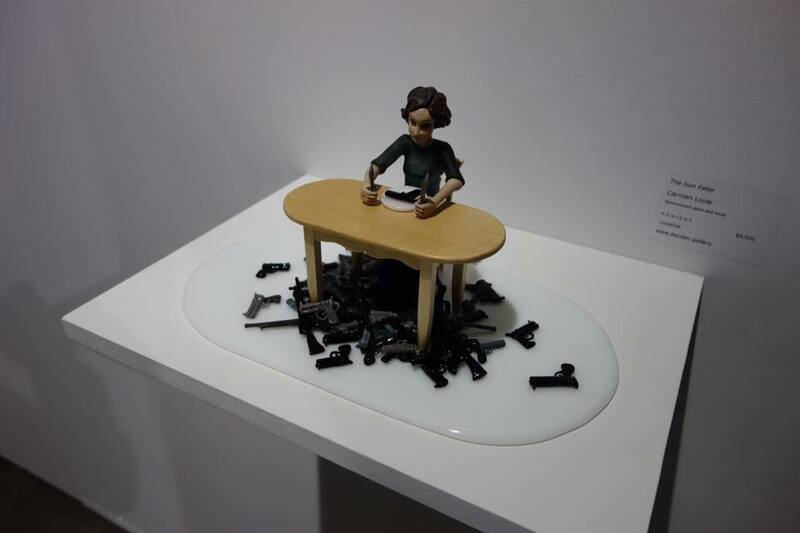 Chicago, Illinois (November 1 – November 4, 2018) – This year marks the 25th anniversary of the Sculpture Objects Functional Art and Design (SOFA) Fair in Chicago, which takes place at the landmark Navy Pier. Washington Glass School artists Laura Beth Konopinski, Tim Tate and Michael Janis will have their new works featured at the critically acclaimed expo. 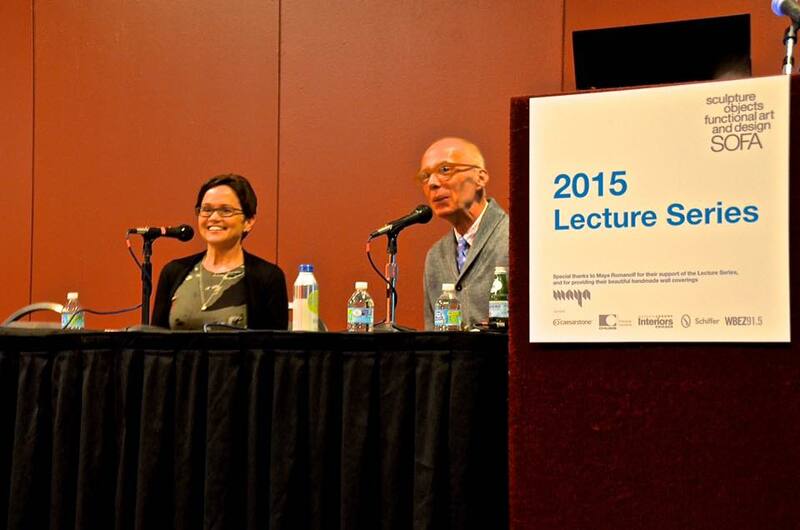 The Chicago-based art expo is traditionally dedicated to three-dimensional art and design. Michigan’s Habatat Galleries will feature new works by Tim Tate and Michael Janis, in their space #A25. Tim’s new infinity mirrors have become much more sculptural and dynamic – they must be seen in person to experience the reflected themes of empowerment and hope. 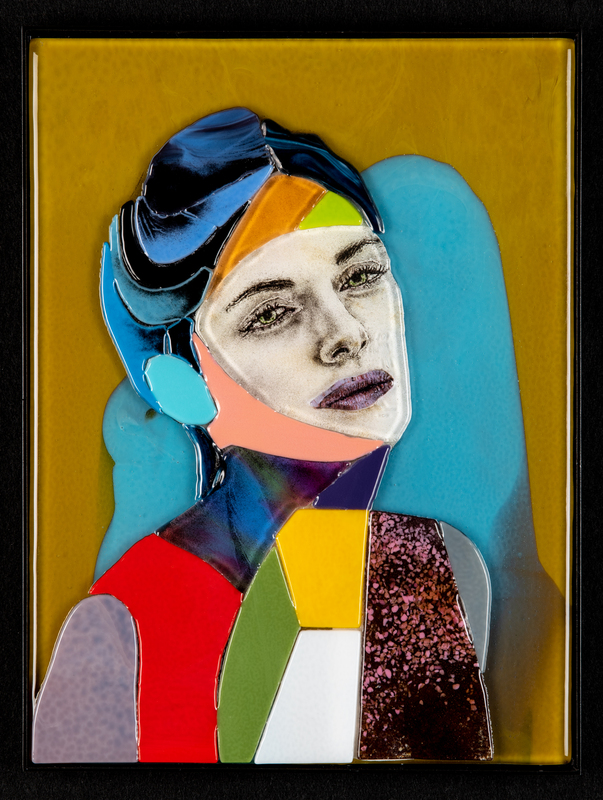 Michael Janis has been creating a new series that will debut at the Chicago SOFA art fair, where his realistic imagery is offset with color and abstracted forms. His work can be seen also at Habatat Galleries space, #A25. Michael’s work will also be in a special exhibit at the fair: Intersection: Art & Life that features works by artists featured in a new book by Kevin Wallace, director of California’s Beatrice Wood Center for the Arts. His book explores the historical parallels between art and life, with the arts playing a central role in exploring identity, spirituality, our relationship with the environment and developing technologies. Michael Janis, “Forever”, “Talk to Me”, “Forever”, 12″ x 16″ each. Habatat Galleries booth #A25. (photos by Pete Duvall). 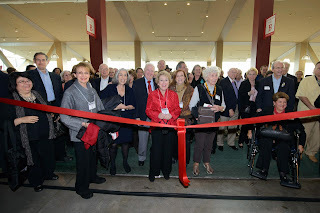 Each year, SOFA Chicago opens to eager crowds! 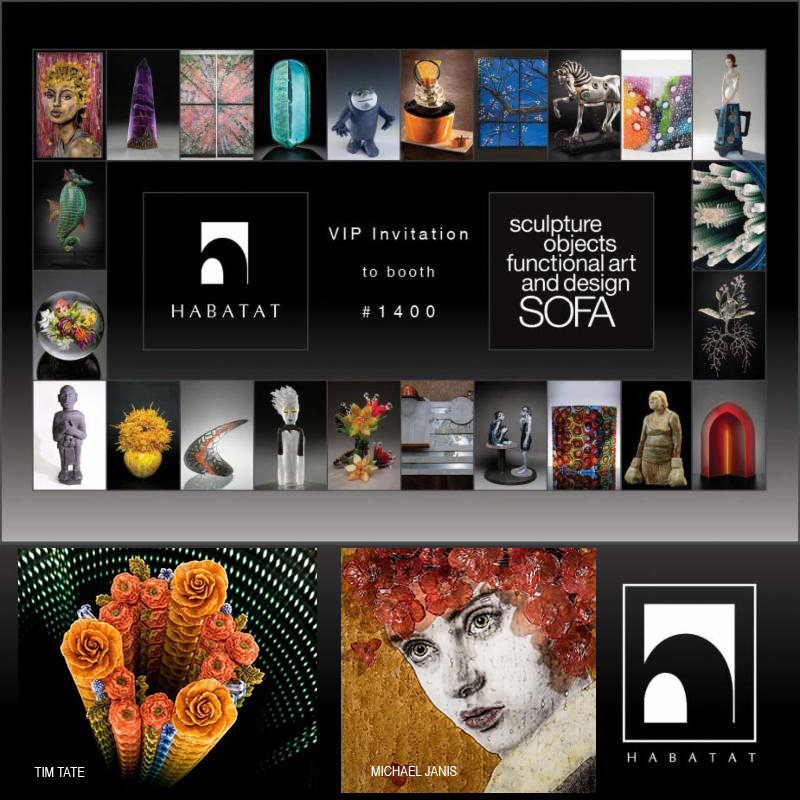 SOFA Chicago 2017 Habatat Galleries features the best in glass art & sculpture. The Sculpture Objects Functional Art and Design (SOFA) Fair in Chicago is dedicated to three-dimensional art and design. Continuously running since 1994, SOFA focuses on three-dimensional artworks that cross the boundaries of fine art, decorative art and design. The 2017 Fair will showcase nearly 80 galleries displaying artwork by emerging and established artists working in ceramics, wood, glass, fiber, studio jewelry, metal, painting, photography and works on paper, at Chicago’s Navy Pier this November 2-­5, 2017. 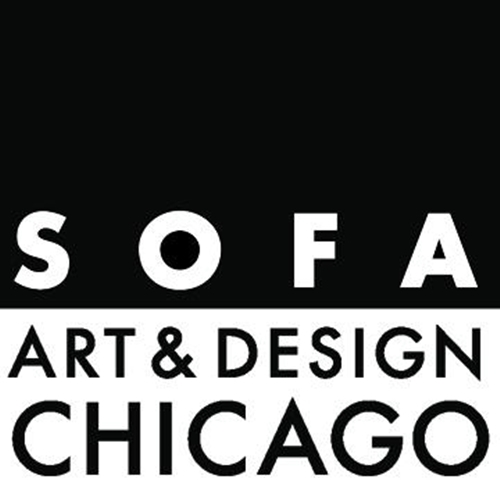 SOFA CHICAGO also includes an acclaimed lecture series and special exhibits exploring the artworks on view and surveying new trends in the art world. Michigan’s Habatat Galleries (Booth #1400) will feature over 55 artists from around the world working in contemporary glass. 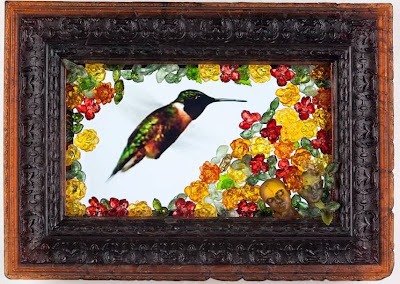 WGS artists Tim Tate and Michael Janis will be exhibited as well as works by Alex Bernstein, Christina Bothwell, Susan Taylor Glasgow, John Littleton & Kate Vogel, Dean Allison, Paul Stankard, Daniel Clayman, Ginny Ruffner, Peter Bremers, Wilfried Grootens, and Lucy Lyon. Getting Ready for Chicago S.O.F.A.! 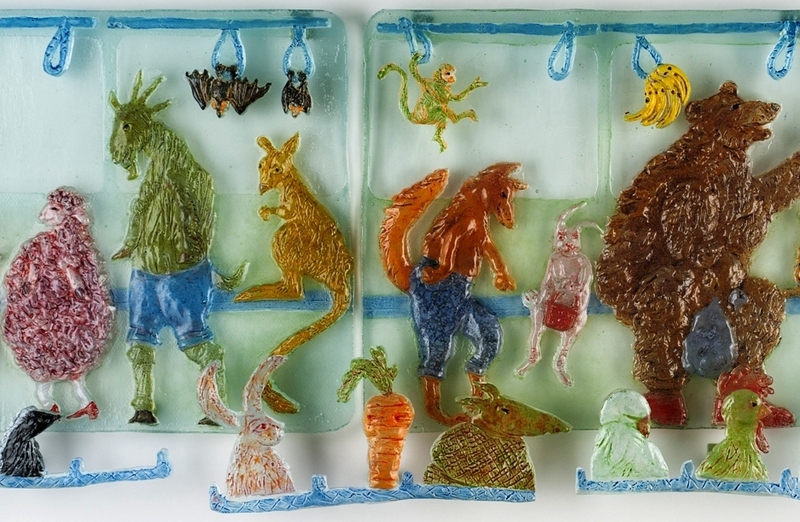 Kilnformed glass artwork by Michael Janis exhibited at Maurine Littleton Gallery space 2015 during SOFA. 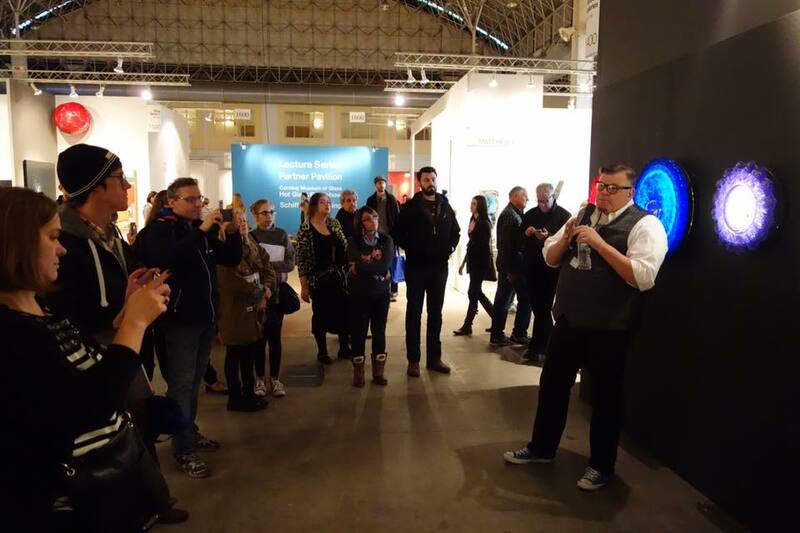 This November, the world’s foremost Sculptures Objects Functional Art + Design Fair (SOFA CHICAGO) is back and happening at Chicago’s Navy Pier this Nov 3-6, 2016. SOFA CHICAGO is one of the longest running art fairs in the world, and the oldest art fair in Chicago. 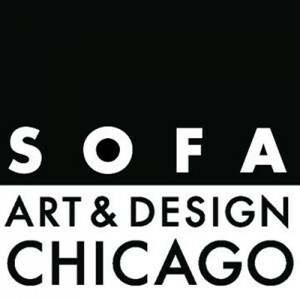 Now in its 23rd year, SOFA CHICAGO is dedicated to bringing together the perpetually separated spheres of design, decorative arts, and fine arts. With nearly 70 internationally renowned galleries, SOFA CHICAGO will be exhibiting an array of media-specific art and innovative designs. 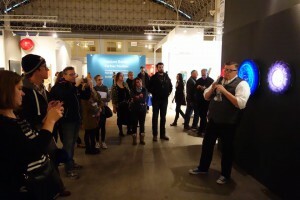 Additionally, those who come to SOFA CHICAGO will have the chance to meet hundreds of the world’s most creative people, as well as view works of some of the globe’s most talented emerging artists. Washington Glass School artists will again be showing at the international art fair – Allegra Marquart, Tim Tate, Audrey Wilson & Michael Janis have been working away this past summer on new works. 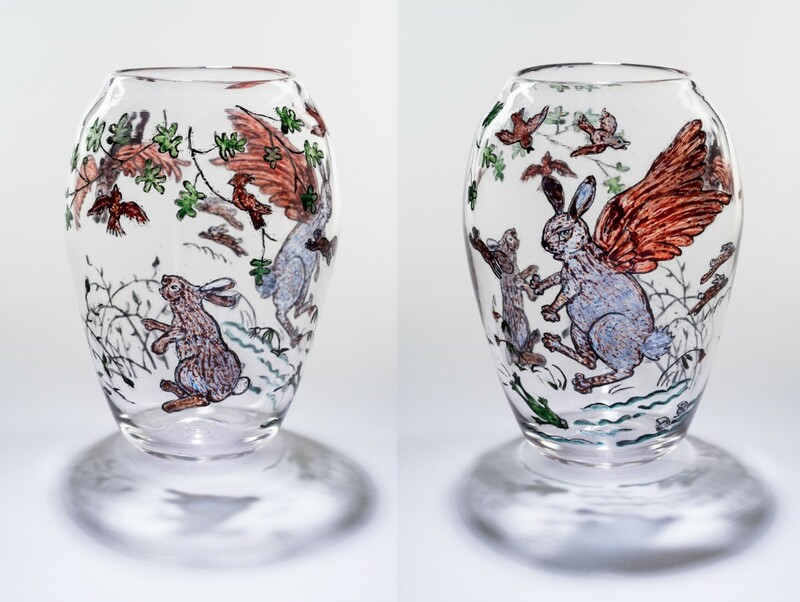 Allegra Marquart,”The Rabbit Who Wanted Red Wings”; Hand blown reverse painted glass vessel; H.9″W. 5″ photo by Pete Duvall. 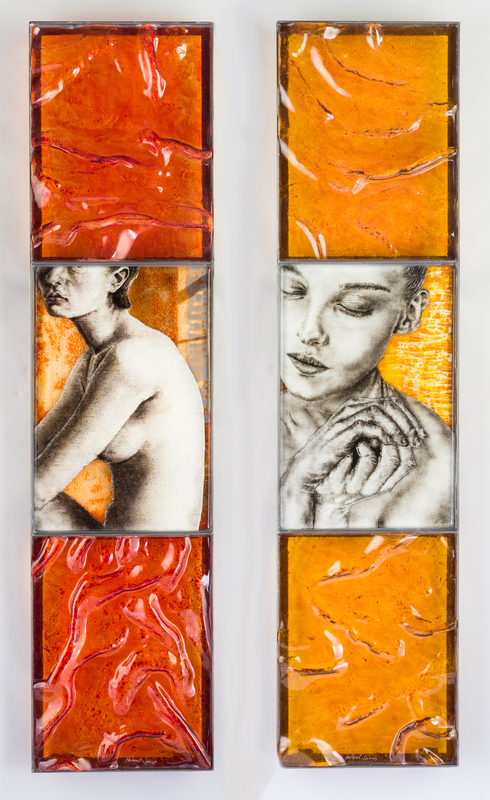 Allegra Marquart has been working with glass blower Tim McFadden – who blew the forms that she reverse painted and fired. The theme running through some of her new pieces is “wanting” – where the main protagonists want something they don’t have or more of what they have already. Allegra’s sculpture and her glass-and-textile wall installations will be shown at Maurine Littleton Gallery’s booth # 821 at SOFA. Tim Tate, “Where We Hide From No One” detail; Silver Plated Frame, Mirror, Flame Worked Glass, LED’s; 18 x 18 x 4″. Photo by Pete Duvall. Tim Tate has been working on whole new series developing for the past year and a half. 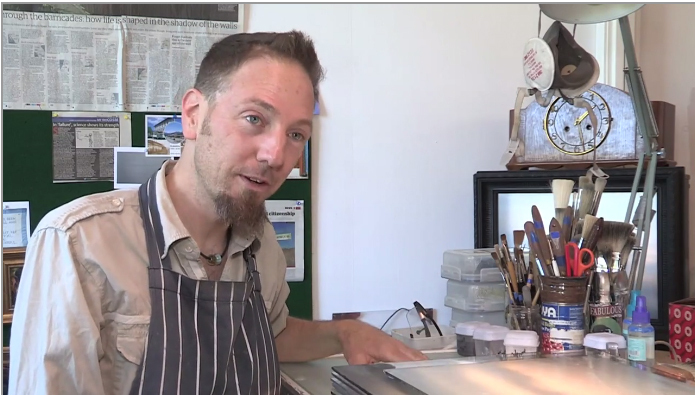 Tim’s works engage the viewer and each piece visually draw’s the viewer deep inside. Tim’s new works will be shown at Michigan’s Habatat Galleries. Michael Janis has had a incredible year so far! 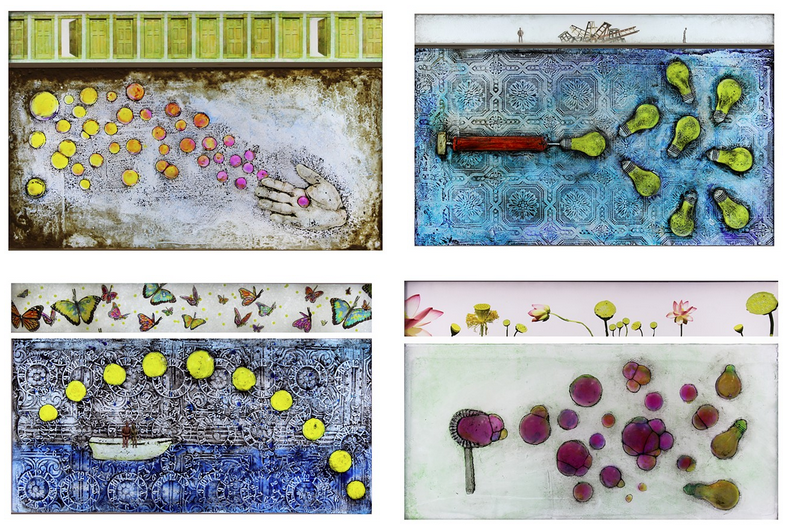 After receiving the 2016 Mayor’s Arts Award and having a successful solo show at Maurine Littleton Gallery, Michael has recently finished his signature cast glass/frit powder imagery panels for the art fair. Michael’s works will again be shown at Maurine Littleton Gallery – (Boorth # 821). Audrey Wilson will again be showing at Alida Anderson Art Projects. Audrey’s wonderful sculptures wryly explore questionable science and conspiratorial thinking. In our troubled times, some recent researchers have found that anxiety and the feeling of loss of control triggers people to see nonexistent patterns and evoke conspiratorial explanations. With high-stress situations (such as job uncertainty) its not surprising that people concoct, embrace, and repeat conspiracy theories. 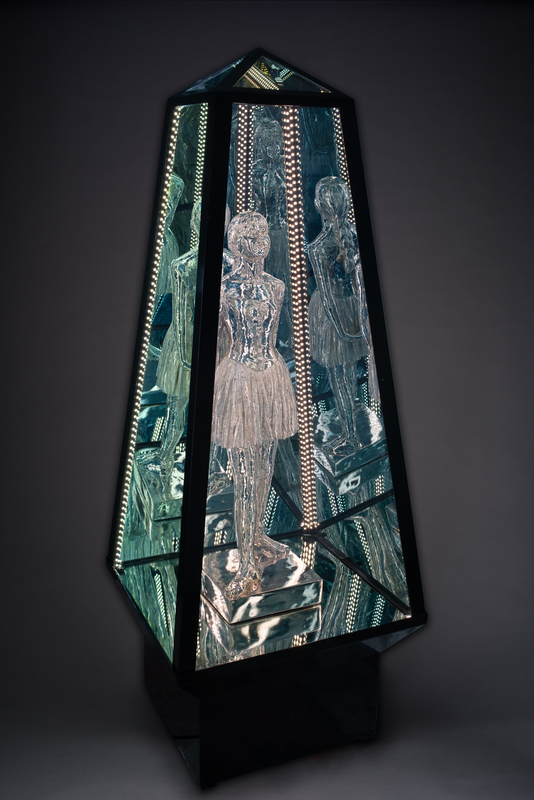 Audrey Wilson’s mixed media / Pâte de verre sculpture explores science and conspiracy theories. 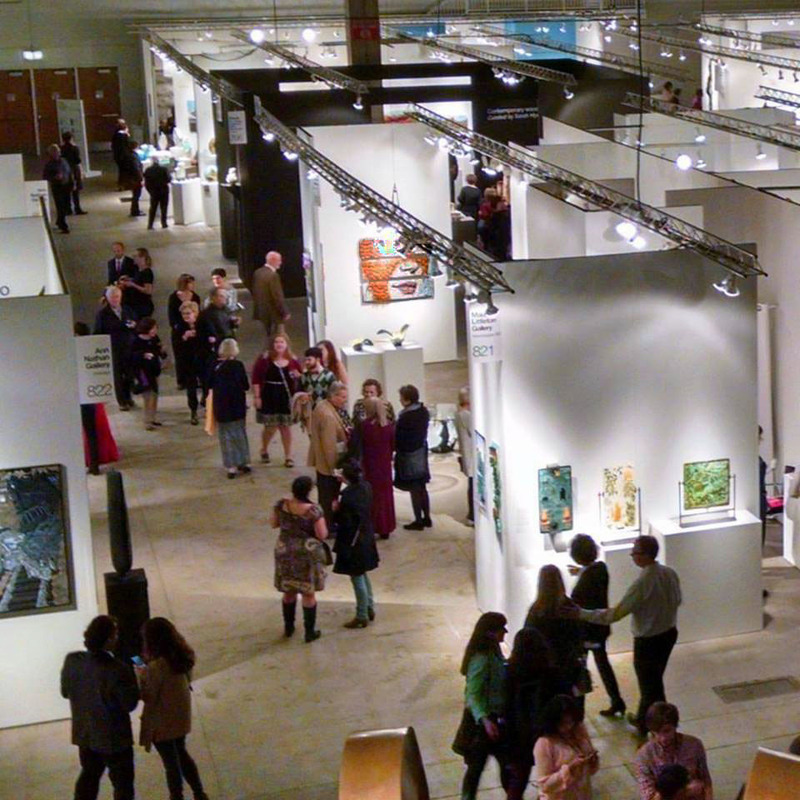 This year’s SOFA CHICAGO hopes to take art lovers one step further. Explore the world of art like never before and be sure to take in one of the SOFA Lecture Series presented by some of the world’s most distinguished artists, collectors and professionals, as well as a special events series curated and presented by international art organizations. 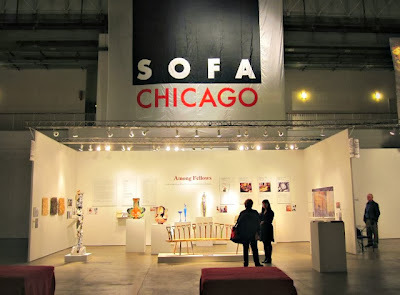 Every fall Chicago, IL hosts the critically acclaimed Sculpture Objects & Functional Art Expo, more commonly known as SOFA. 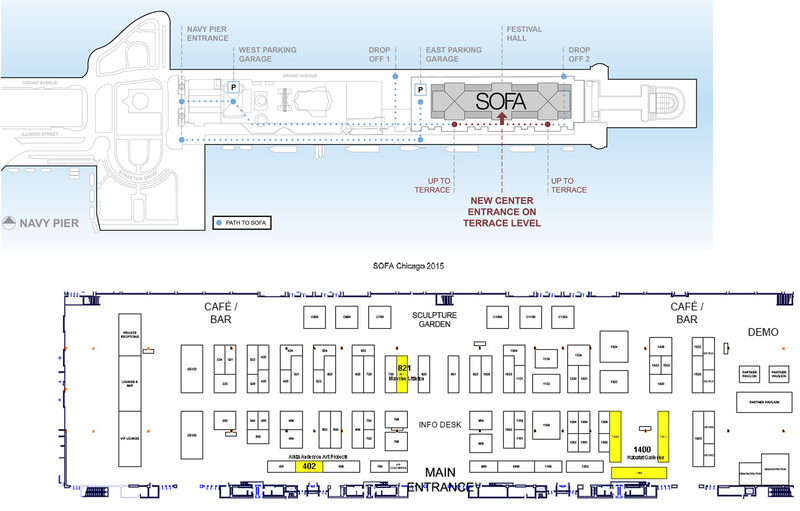 SOFA Chicago 2015 will be held November 6 – 8, 2015 at Navy Pier’s Festival Hall, where masterworks from top international galleries and dealers from numerous countries will exhibit. An opening night preview will be held Thursday, November 5. On par with Art Basel and TEFAF Maastricht, the critically acclaimed art fair has been continuously run every year since 1994. What distinguishes SOFA from other top art events is its focus on three-dimensional artworks that cross the boundaries of fine art, decorative art and design. SOFA is noted for its exceptional presentation of artwork by international galleries and it is enhanced by the many talks to attend in the Lecture Series given by award-wining designers and artists. 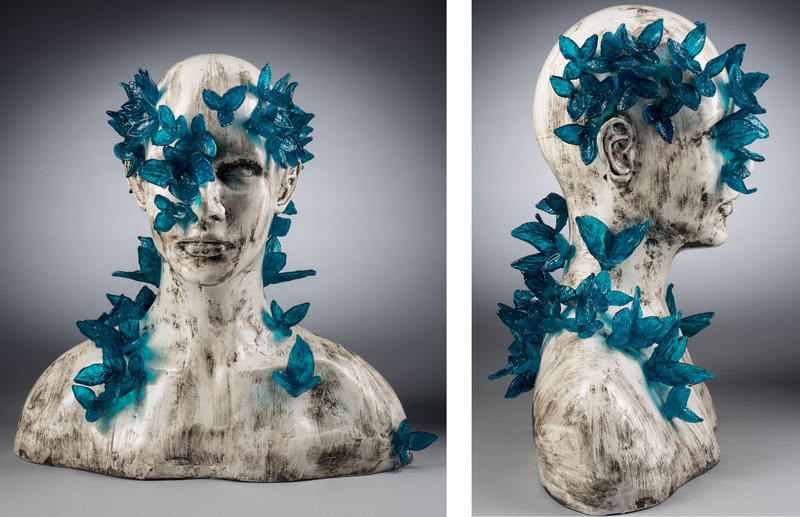 This year, a number of Washington Glass School artists will be featured at the art fair, and the artists are bringing new works that have taken them in new directions. Tim Tate will be giving a “Booth Talk” at Habatat Galleries (space #1400) on Saturday, Nov 7 @ 1:00 pm. Just after that talk, at 2:00 pm, Sean Hennessey and Michael Janis will be featured at the Art Alliance for Contemporary Glass (AACG) Ice Cream Social on the terrace at Navy Pier. Allegra Marquart (Maurine Littleton Gallery, Space #821) has mixed her cast glass with textile, exploring the new possibilities for color, texture and especially line. 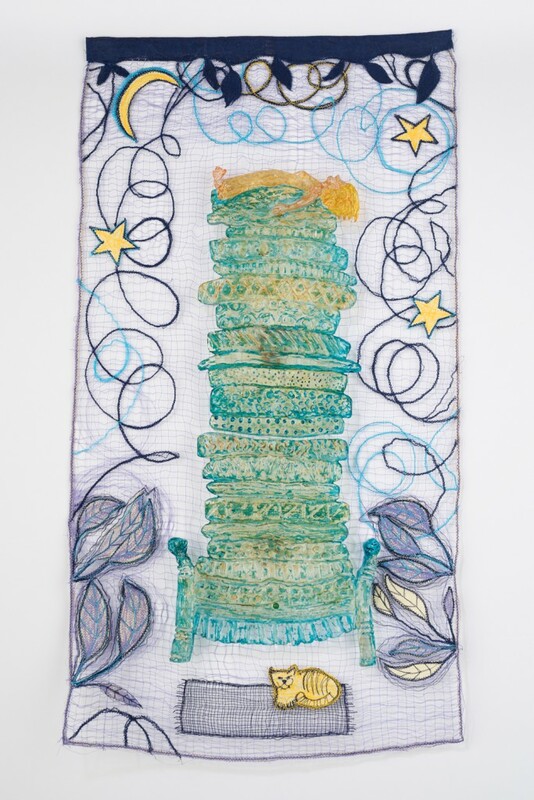 Allegra has been stitching connections that create open, delicate looking backgrounds that complements and comments on the bolder glass shapes which are mounted slightly in front. 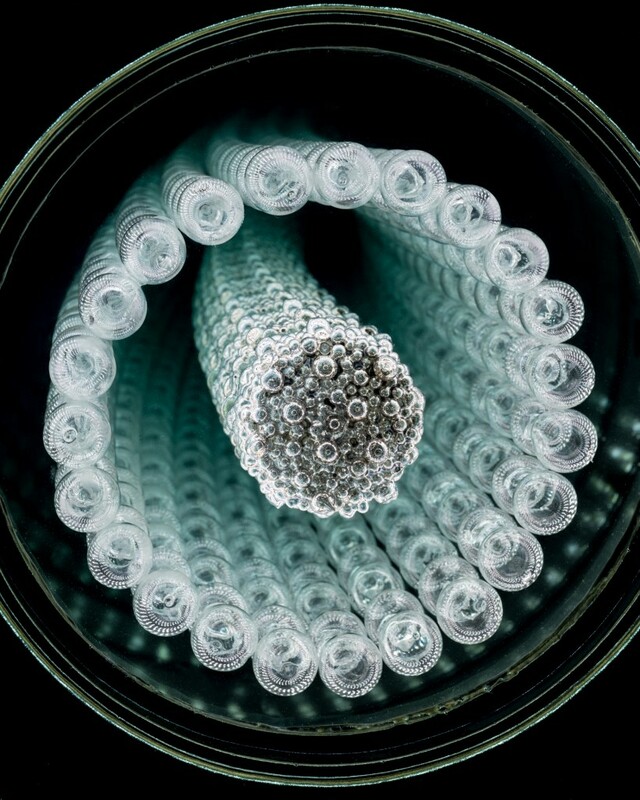 The glass and the threads compliment concepts of fragility and ambiguity. Sean Hennessey (Habatat Galleries, Space #1400) will be presenting works that take him in a new direction, both in terms of the brightness of the colors and in the use of a separate panel that incorporates photographed and drawn imagery, telling a slightly different side of the story from the larger panel. Audrey Wilson (Alida Anderson Art Projects, Space #402) makes her debut at the art fair. Her new mixed media works explore alternate and extraordinary realms. 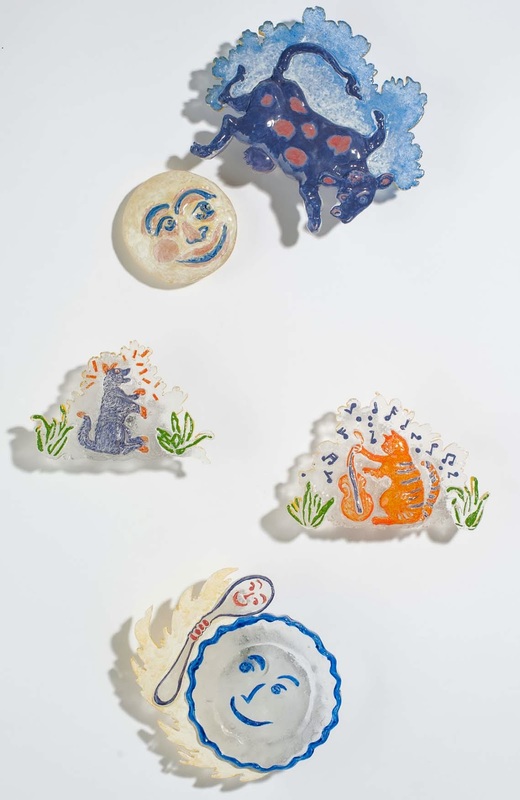 Michael Janis (Maurine Littleton Gallery, Space #821) explores concepts of identity with his frit powder (sgraffito) drawings with cast glass elements. New this year are his ceramic and glass sculptures. Tim Tate (Habatat Galleries, Space #1400) is showing his new illuminated pieces, his infinity series. Tim entices the viewer to look deeply into his created environments, create an optical and physical illusion of infinity through apparent limitless space. 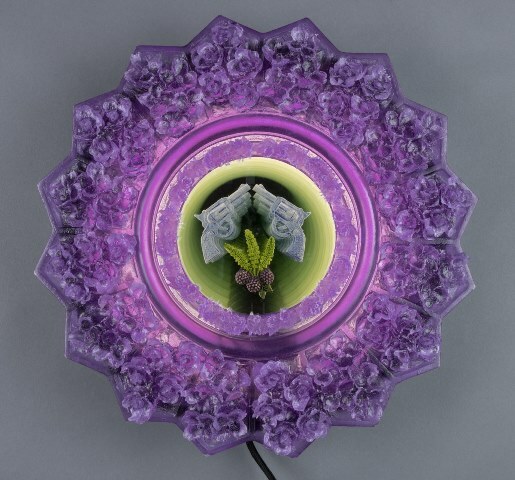 There is an intimacy created by viewing deeply into a circular opening, as if peering through a portal to another reality. Every fall – for the past 20 years – Chicago, IL hosts the internationally acclaimed Sculpture Objects & Functional Art Fair (aka SOFA Chicago). 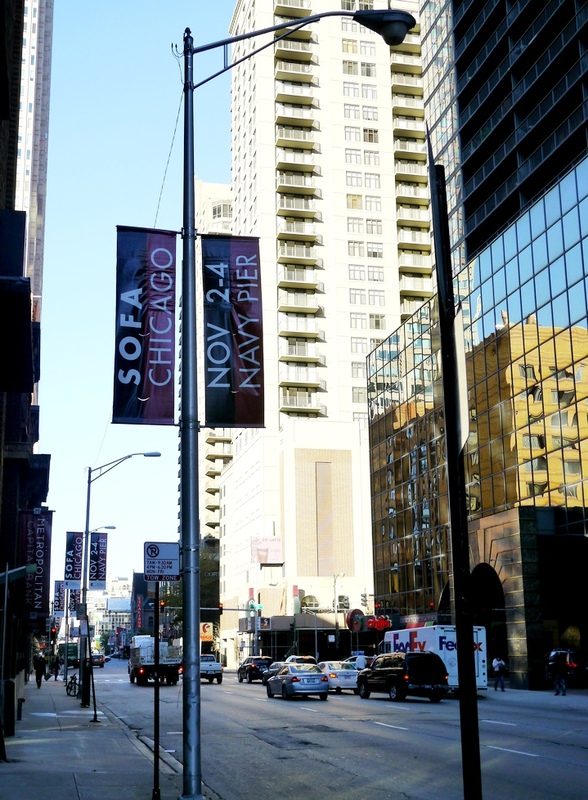 The 21st SOFA Chicago will be held November 7 – 9, 2014 at Navy Pier’s Festival Hall where masterworks from top international galleries and dealers from numerous countries will exhibit. Opening night gala preview will be held Thursday, November 6. Washington Glass School is represented by artists Michael Janis and Allegra Marquart at Maurine Littleton Gallery and Sean Hennessey and Tim Tate are exhibiting at Habatat Galleries Space. Allegra Marquart will present a number of her new wall installations. 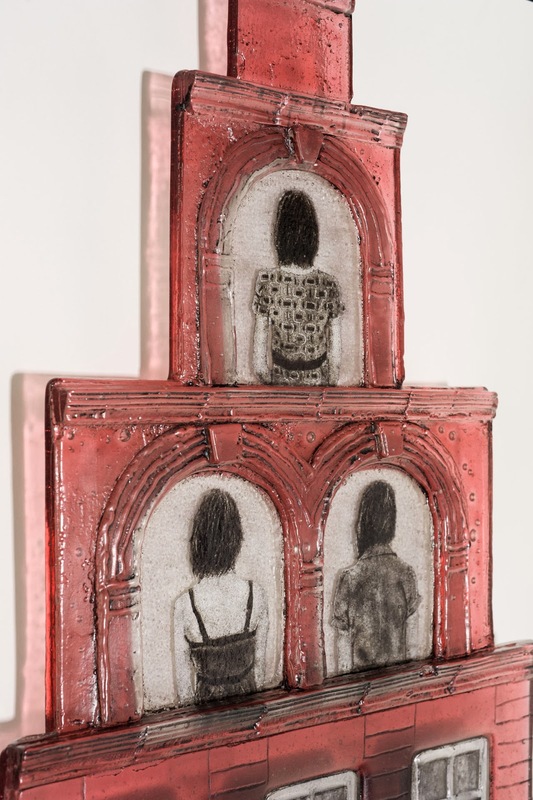 Her new works are not strictly narrative but relate to etchings the artist made years ago when she first moved to the city and began interpreting what she saw on the streets with humor and an eye for juxtaposing disparate situations and individuals. Sean Hennessey will be showing his cast glass/ mixed media panels at Habatat Galleries. His new works integrate electronics and videos into the panels. Tim Tate will be showing his installation “The Healing Polyopticon” – a 5 ft wide installation consisting of 16 video pieces in varying sizes of cast black frames. Each video is in the form of an eye blinking; each eye different. Surrounding this cluster of 16 video frames are cast black flowers that fills out the 5 ft wide circle . The work is based on a terminal diagnosis he received 30 years ago – and he imagined that he was being kept safe by those who passed before him – all keeping an eye on him thru portals. In this sculpture he portrays people who had effected his life in a positive way…keeping him from passing over, making him safe; imbuing him with self healing energy. This powerful sculpture will at Habatat Galleries space. 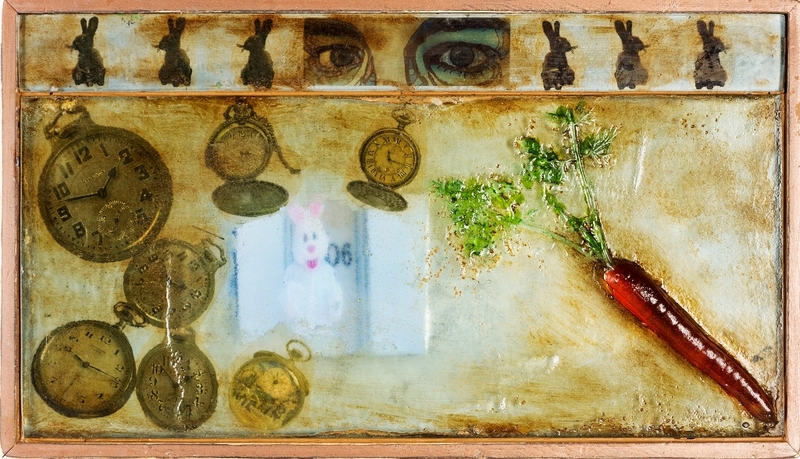 Michael Janis will be showing a number of new works at Maurine Littleton Gallery space. 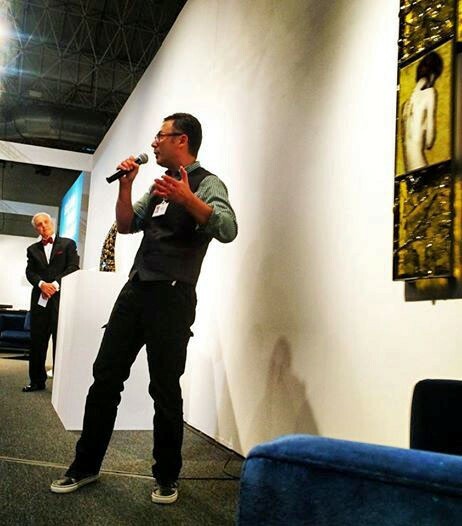 The American Institute of Interior Designers (ASID) chose his work as part of their picks for SOFA Selects – where highlighted pieces chosen by noted curators, designers, and critics give viewers of the fair way to navigate the huge show. If you are going to the show – be sure to stop by and visit with the artists – all will be at the Chicago Fair! The world-renowned art fair dedicated to Sculpture, Objects, Functional Art & Design (SOFA) returns to Navy Pier’s Festival Hall. Many artists are working on the last bits of work to be shown at the exhibit that runs from November 7-9 2014, with a preview on the evening of November 6, 2014. 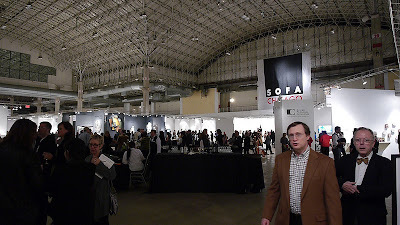 Celebrating its 21st year, SOFA CHICAGO is the longest continuously running, gallery-presented art fair in the city of Chicago, and one of the most successful in the country. Last year’s fair attracted 34,000 attendees from around the globe. A number of Washington Glass School artists and alum will be shown at the art fair – Tim Tate will be at Habatat Galleries space, Allegra Marquart and Michael Janis will be showing at Maurine Littleton Gallery‘s space, and alum Jeff Zimmer will be one of Craft Scotland‘s collection that was designed to give audiences in Chicago the opportunity to see and buy some of the finest examples of ceramics, glass, wood, textiles, silver and jewelry being produced in Scotland today. Click on image below to see Craft Scotland’s video about their artists and works being showcased at this year’s fair. The works are all finished and packed – and on their way to Chicago’s Navy Pier for the huge arts fair: S.O.F.A. 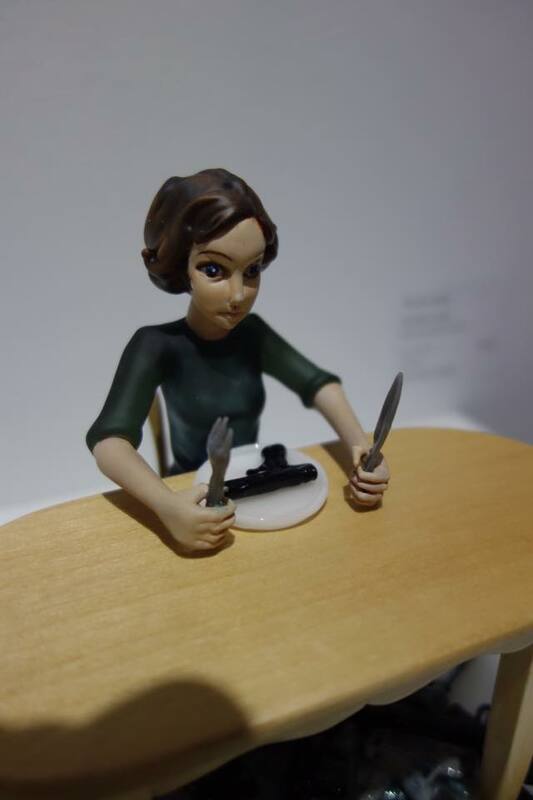 (Sculptural Objects and Functional Art)! 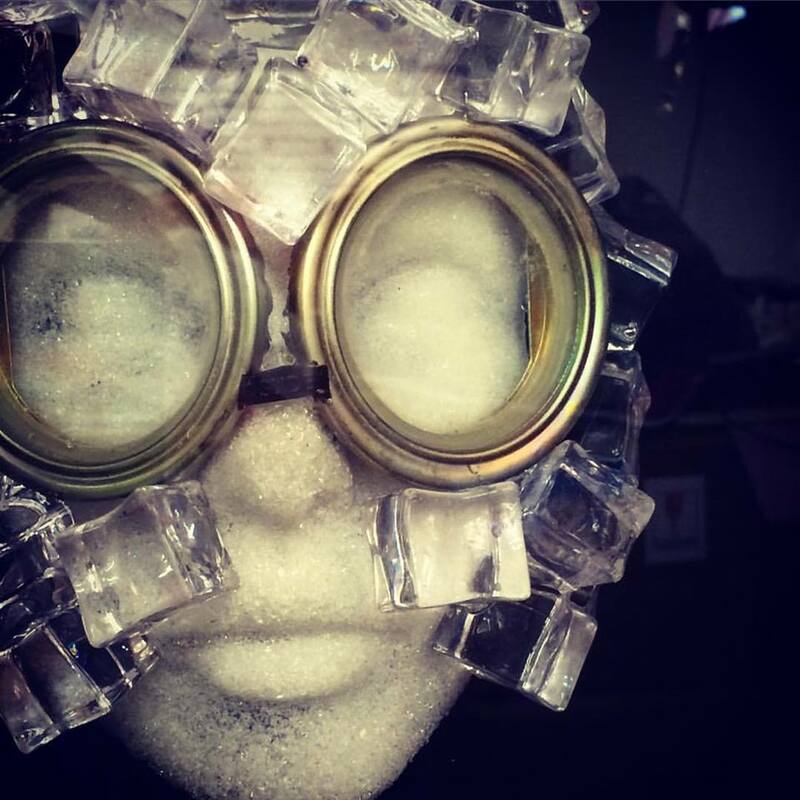 WGS’ Tim Tate will have his new glass/video works on exhibit at Habatat Galleries (space # 1100); Michael Janis and Allegra Marquart will both be featured at Maurine Littleton Gallery (space #403). He also will be giving a booth lecture at Habatat’s space titled “Video as the Next Craft Medium” on Saturday at 1:30 pm. Glass Secessionism will have a talk hosted by William Warmus and Tim Tate in Room 323, from 3-4pm on Saturday. Titled ‘The Gathering: Glass Landscape in the 21st Century’, it will be a round table discussion centered on Post-Studio Glass and Glass Secessionism. For more info – check out the Facebook event posting online HERE. SOFA CHICAGO opens Thursday, October 31 and runs through Sunday, November 3, 2013 at Chicago’s historic Navy Pier. 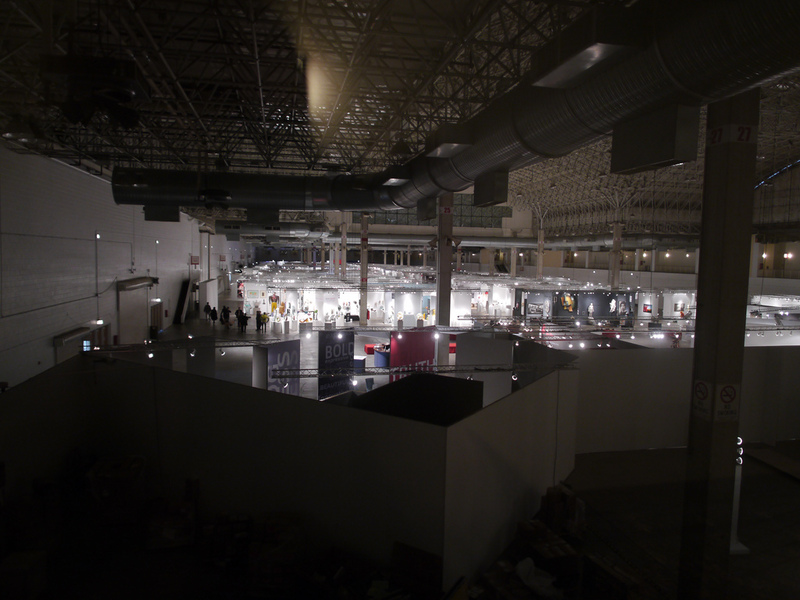 Set-up and takedown of a big art fair is a daunting task – and not all glitterati, paparazzi and Illuminati. Although visitors to the large shows only experience the special exhibitions and lectures, a lot goes on before and after the show. SOFA CHICAGOreturned to Chicago’s Navy Pier in early November, 2012, and the WGS artists participating in the exhibit (Tim Tate, Michael Janis and Allegra Marquart) uploaded photos of the process. Much of the process shown below is centered around the Maurine Littleton Gallery space. Driving the work for Washington’ DC’s Maurine Littleton Gallery to Chicagois artist Drew Graham. Besides being a mixed media artist, Drew works for the gallery, and is one of its featured artists. 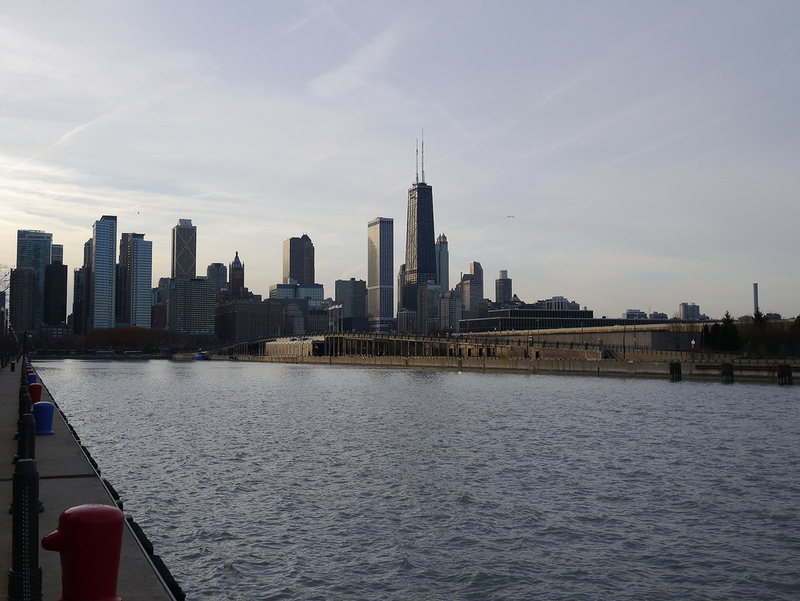 Navy Pier – jutting out into Lake Michigan has the central exhibition space ready for the exhibitors to set-up. The gallery team arrives early in the morning to begin the set-up. Drew Graham pulls up the truck inside the event hall, and prepares to start unloading. Glass artists John Littleton and Kate Vogel are already in the hall and begin to transport the artwork down to the booth space. Gallery owner Maurine Littleton reviews the booth space and the layout of the walls and electrical. 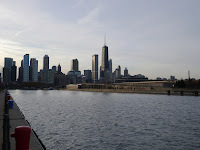 The design of the space and the location of each work was planned weeks previous to arrival in Chicago, with lighting and electrical planned in advance. Some artwork was already delivered to the space. It turned out that some of the walls needed to be re-positioned, and artwork installation worked around those areas. Items such as pedestals, tools, chairs, special lighting, storage shelving, printer, artwork brochures/info, signage, etc and all the necessary components had been packed onto the truck and now must be unpacked and sorted. John Littleton at work uncrating artwork and preparing the display of many of the works in the booth. Other galleries are installing artwork – here, Heller Gallery installs Norman Mooney’s cast glass stars. Each glass artwork piece is unboxed and carefully installed. The set-up time is a great time to catch up with other artist friends – Laura Donefer and Tim Tate share a hug. The Littleton Gallery space is shaping up, pedestals are placed for the Harvey Littleton sculptures. The main aisle is busy with galleries preparing their booths. SOFA Chicago is an international show, here Craft Scotland sets up their display. The lighting is adjusted on the works, and the packing cleared. Kate Vogel checks for items that need adjustment before the fair opens. Time to shower and change into opening night attire. Navy Pier just before the opening night gala, the quiet before the storm. The Opening Night Premier begins with a ribbon cutting ceremony. 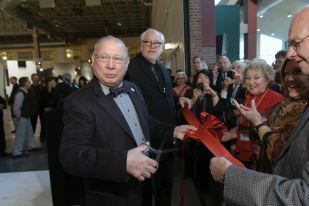 Lino Tagliapietra is one of the glass greats that cut the opening ceremony ribbon. The opening night is one to see and be seen. Very posh. With the opening night premier over, the art expo is open to the public, who fill the hall. The lectures and demos begin. Corning Museum has a mobile hot-shop that has a number of artists showing. 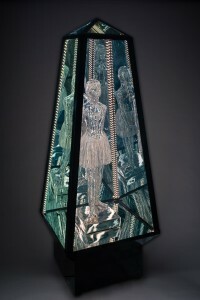 Christina Bothwell mixed media work at Habatat Galleries. Miriam Di Fiore’s beautiful landscape sculpture. John Littleton and Kate Vogel’s incredibly detailed cast sculptures. 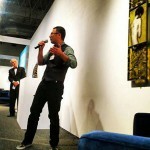 The SOFA Art Fair ended on the Sunday night at 6:00 pm. With the announcement on the p.a. system that SOFA 2012 has ended, the lights go up and the public leaves the space. The reverse process of de-installation begins. Out come the boxes and crates. Drew Graham takes a break from packing. Martin Janecky’s blown glass sculptures in repose. 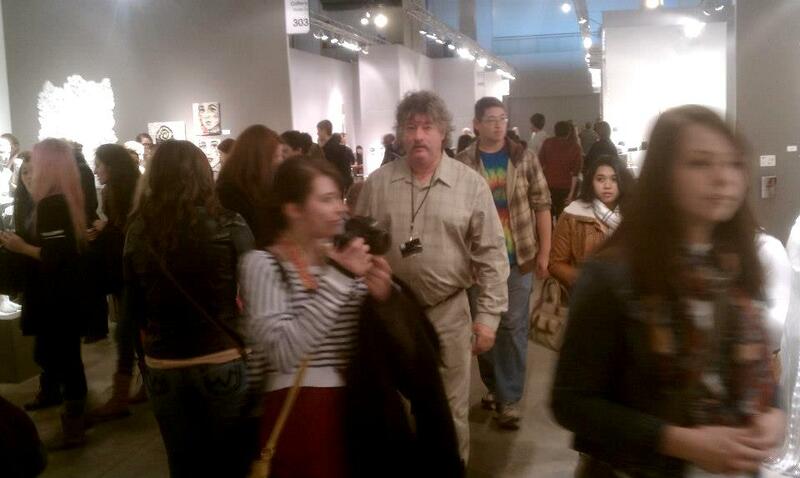 The unglamourous side of an art expo takes place when one has the least amount of energy. Coffee and energy drinks are needed. The art expo provides the final meal for the show – Connie’s pizza. With the show back in the truck and on its way back to Washington, DC, planning for the opening of the Washington Craft Show moves up the list of tasks to be completed. And after, shows at Art Miami/Art Basel.